Religious TV Channel / Taivas TV7 is a Finnish co-operative television channel that started broadcasting on 15 December 2003 as a local channel on HTV's network in Helsinki. Today, Taivas TV7 operates nationwide in a digital cable network in Estonia, via cable networks and via the Internet. TV7 has around 83,000 viewers daily and about 152,000 a week. According to a 2014 study, TV7 is Finland's second most famous Christian media and is known to 39 percent of Finns. TV7's delivery, studio and broadcasting unit are located in Helsinki. The channel has an international delivery in Israel in Jerusalem and in Estonia. 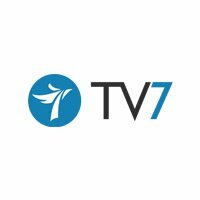 TV7 employs about 70 people, some of whom work in Estonia and Israel.